Samsung Galaxy A7 first impressions: Stunning design, cameras are the highlights, Read here the details and opinion to buy or not. Hey, Friends Samsung has launched its new smartphone Samsung Galaxy A7, the highlights of this phone have side fingerprint and triple camera. Let’s see is it worth buying in this price segment. Samsung Galaxy A7 2018 First Impression: Samsung launches its first phone with the triple camera behind the Galaxy A7. For the mid-range flagship, the base storage model will cost Rs 23,99 with 4 GB of RAM and 64 GB storage. Looking at the price point, Samsung will compete with the likes of Galaxy A7 OnePlus 6, Huwai Honor 10, Nova 3, etc. The Samsung Galaxy A7 gets 6-inch FHD + display and the phone is powered by Samsung’s Xinos 7885 processor. Thanks to the 6-inch tall display with thin bezels, the phone is very stylish design. The screen is protected by Corning Gorilla Glass 3, while the back gets 2.5D glass coating. The design is minimal and the vertical rear lens setup is three times on the left side on the back cover. The fingerprint sensor is now embedded in the power button on the right. I liked the appointment of the sensor because it was easy to reach and was within easy reach. Galaxy A7 First Impressions, Galaxy A7 Review, Galaxy A7 Price India, Galaxy A7 Chashma Samsung Galaxy A7 comes in many colors, of which Much liked variant is bubblegum pink. The Samsung Galaxy A7 looks incredibly light and is only 7.5mm thin. Overall, the phone looks premium and stylish. It comes in many colors, of which I like the most Bubblegum pink. The Galaxy A7 has a glass finish, which I definitely want to rebuke. My only complaint is that the back cover easily attracts the fingerprint mist so that the back cover can be recommended. Samsung’s Super AMOLED Infinity Display is used on Galaxy A7, which is one of the best specifications. The display has an FHD + resolution, which is good to watch. However, the long form factor cannot be easy for people with small arms. Type-C port for charging the phone user, and 3.5 mm headset jack is present below. The Samsung Galaxy A7’s cameras are quite impressive for the price. the pictures of the bright roads, as well as photos, were taken in the dim light was beautiful. There is a large amount of detail in the pictures and the color reproduction was close to natural, which is good to see. In fact, the Bokeh feature also performed very well in different light conditions because the photos got faster and the loss of expansion was minimal. 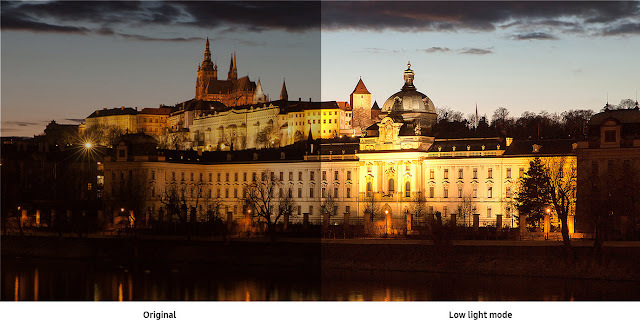 The visual identification feature did a great deal of work in its limited time with the Galaxy A7. It can identify some things like plants and food correctly. Although I think that the phone struggles with pink and red when the camera used in a wider way. Triple Samsung Galaxy A7 with 24 MP AF primary lens with F / 1.7 aperture, 8 MP ultra-wide lens with F / 2.4 aperture and 120-degree wide angle along with 5 / MP aperture with 5 MP depth-sensing lens Are included. Thanks to the crisp selfie, the Front 24MP camera takes beautiful photos. I think it tries to smooth the skin a bit, but not those levels that bother me. Bokay mode is also very good. The Samsung Galaxy A7 runs an octa-core Xinos 7885 processor, which has 4 GB / 6GB RAM and 64 GB / 128GB of storage. Another good thing is that the phone Dolby Atoms offers around 360 degrees, which should be a very good viewing experience with the Infinity Display. The display gets a Widevin L1 authentication, which ensures a True HD + experience on apps like Netflix. Samsung Galaxy A7 also sends ships with the ‘Made for India’ feature which allows users to install the app on the memory card and move the contents into the memory card. The phone supports expandable storage up to 512 GB via a MicroSD card slot. The battery at the Galaxy A7 is 3,300 mAh, although there is no fast charging support. Samsung Galaxy A7 is still on the Android 8.0 Oreo with the company’s experience 9.0 version skin. Android P has already started rolling for the smartphone, it is disappointing to see the phone still in the old software version. Samsung really needs to improve its software update game. Like the Galaxy J-Series and many other Samsung phones, the Galaxy A7 also has shipped with the S-bike mode such as ‘Made for India’ features. S Power Planning and Samsung Mall feature, which allow people to click on the product Allow photos from their phone’s camera or pictures to purchase online products for them. The Samsung Galaxy A7 is a very good option, especially when looking at any overall design and camera specifications. 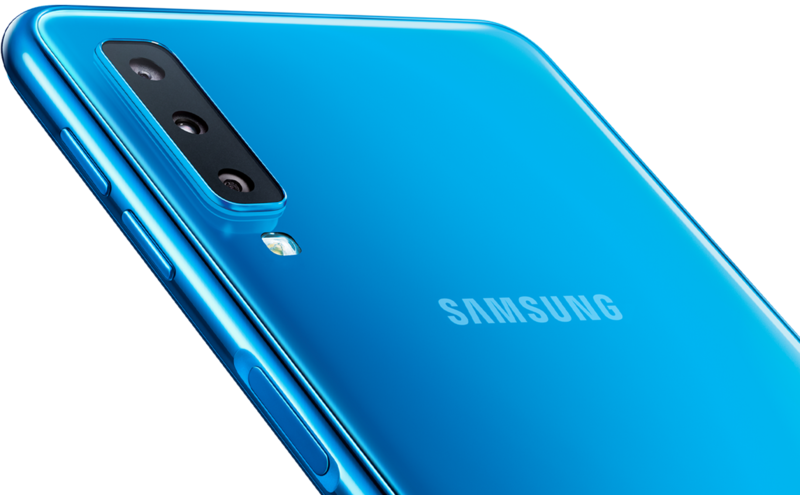 The South Korean company has decided to go with the aggressive pricing for the Galaxy A7, which makes it a competent competitor in the mid-range segment. In addition to the camera, I really liked the light and stylish designs. It really comes down to how the phone does, most of which will be in our review. So far, the Galaxy A7 looks like a new rival for OnePlus 6, Honor 10 and other mid-range flagship.